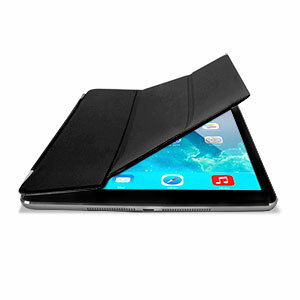 The black Smart Cover and iPad Air were made for each other. With built-in magnets to attach the Smart Cover to the iPad Air for a perfect fit that not only protects your retina display, but also wakes, stands and brightens up your iPad Air. Great product and service, no issues. 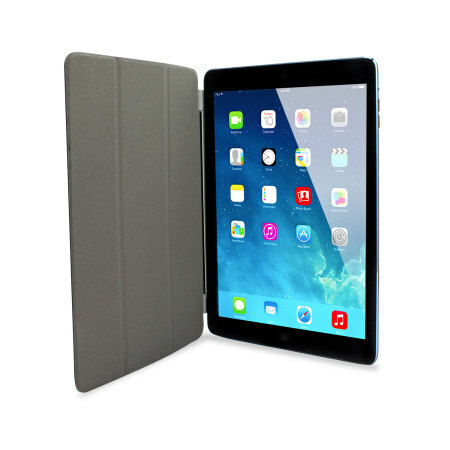 The Smart Cover protects the iPad Air's crisp retina display, shielding it from accidental damage which arise on a daily basis all the while maintaining the thin and light design of iPad Air. 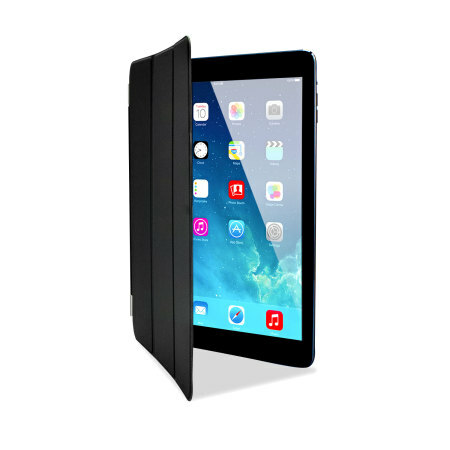 The Smart Cover is compatible with the iPad Air's sleep/wake function. Simply open the Smart Cover and the iPad Air magically wakes up. Close it and iPad Air automatically goes to sleep, no need to press any buttons. 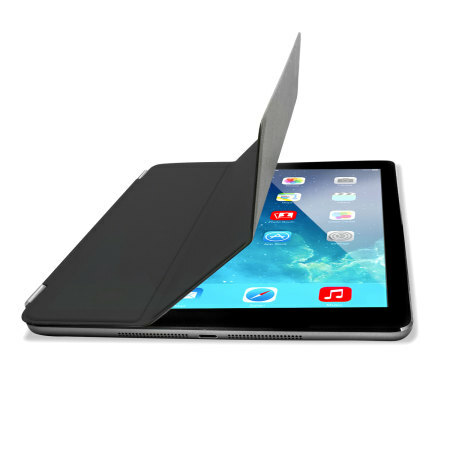 The Smart Cover doesn’t just protect iPad Air, it keeps it ready to go whenever you are. 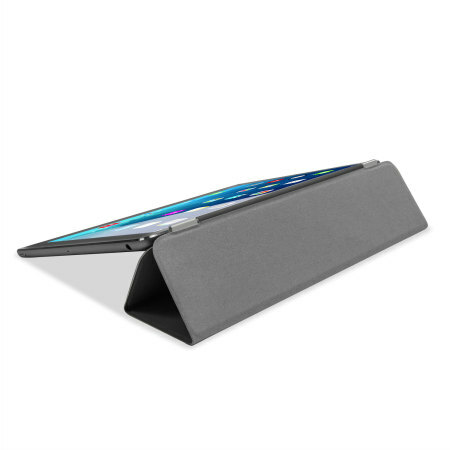 The Smart Cover folds in just the right places to become the perfect FaceTime and movie-watching stand. The Smart Cover also doubles up as a keyboard stand. Fold it back to tilt iPad Air into a comfortable typing position. 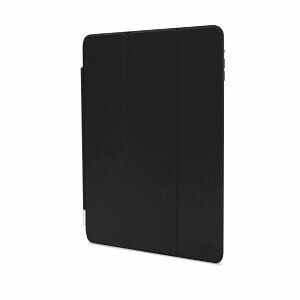 The Smart Cover is made of polyurethane and also features a soft, microfiber lining that helps keep your display clean. 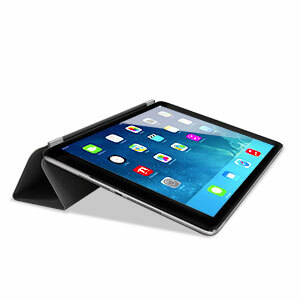 This product is designed specifically for use with the Apple iPad Air, so offers a perfect fit and does not impede the use of any of the functions such as the power and volume buttons, headphone and charging ports, or front and rear cameras. Please note: The Smart Cover does not fully encase the iPad and will only cover the screen.